" Jos Brochu Prop. " In 1941, St-Michel Dairy with his 12 milkmen merged to St-Laurent Dairy Farm. 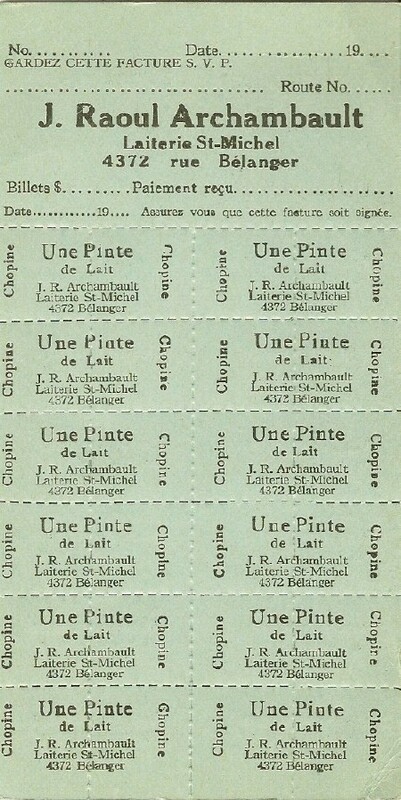 Source : Mr. Réal Berthelet.